Diocesan Grants are available to Mission Areas and churches. Funding is available for projects relating to mission, ministry, buildings, work with young people and other aspects of church life. Please read through the Guidance notes for completing the application form for full details on how and when to complete the application form. The information in Criteria for assessing grant applications will be used to assess applications. The same Application Form is used for all diocesan grants, but not individual training bursaries. Information about training bursaries are here. Grant applications are assessed by the Grants Committee, which meets four times a year. Urgent matters may be considered outside of this time-frame. Please email your application form and any supporting documents to Karen Williams or post them to the Diocesan Office. Late, illegible or incomplete submissions may result in the application being deferred or rejected. Grants are awarded by third party organisations. Email Martyn in the Diocesan Office to discuss your project and what grants maybe available. 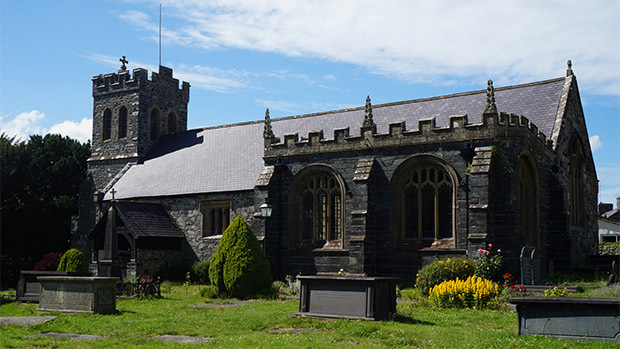 An historic church in the Aberconwy Mission Area has been awarded £707,700 from the National Lottery to upgrade the building and enable it to be used for community activities. The money will ensure St Grwst’s Church remains as a place of worship, while also serving a dual purpose as a heritage and tourist attraction, bringing visitors and the local community together.